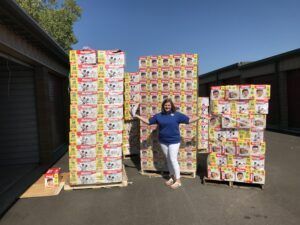 This year, The Diaper Bank of Minnesota was the recipient of 100,000 diapers donated by Kimberly-Clarke and SuperValu! This was one of five donations made by Kimberly-Clarke across the country. 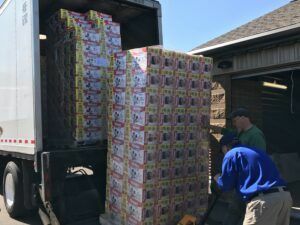 The need for diapers in the Twin Cities 7-country metro area is so large that The Diaper Bank of Minnesota was able to distribute the diapers via our network of organizations within seven days. In fact, 1/3 of Minnesota children 3 and under don’t have consistent access to clean diapers. That’s more than 75,000 babies and toddlers in our state whose parents aren’t financially able to buy enough diapers. With this gift, The Diaper Bank of Minnesota is on track to distribute 300,000 diapers in 2017. That’s a 50% increase over our targeted amount. 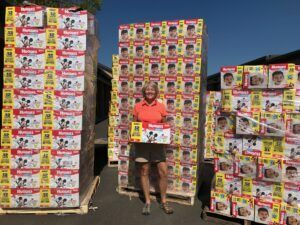 A huge thank you to all our partners and volunteers that made this delivery and distribution such a success – especially Acorn Mini Storage! 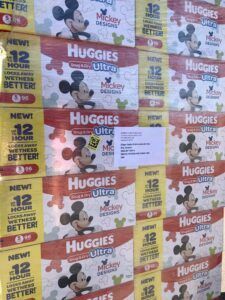 Acorn Mini Storage’s Brooklyn Park location accepted the diaper delivery and provided storage until we were able to distribute the diapers.